The 1st European Conference on Molecular Magnetism was organized in 2006 within the framework of the Network of Excellence Magmanet. 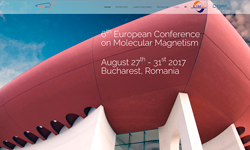 After ECMM2006 in Tomar (Portugal), the European Institute of Molecular Magnetism has been in charge of the organization of the ECMM2009 in Wroclaw (Poland), ECMM2011 in Paris (France), ECMM2013 in Karlsruhe (Germany) and ECMM2015 in Zaragoza (Spain) with the aim to continue this series of International Conferences. This Conference offers a European forum to interested scientists from around the world to present and discuss research results in all aspects related to molecular magnetism. 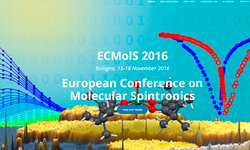 From now on, this Conference will be held biannually alternating with the European Conference on Molecular Spintronics (Bologna, Italy, November 2016), increasing the visibility of these fields, while contributing to consolidate in Europe a multidisciplinary community working in these topics.